If you own a fleet of vehicles then your fleet is at constant risk of theft from the minute you purchase the vehicle asset. No matter if it is parked in a locked garage or in the field providing services to customers, these valuable assets are at risk and only GPS trackers can mitigate that risk. The current theft rate for vehicles is about one every 44 seconds in Australia and with some suburbs a much higher risk than others. The Geo-fencing function allows you to set a virtual perimeter for each vehicle in your fleet and your fleet manager will be notified if the vehicle leaves that zone allowing them to take action and stop the theft while it’s in progress. Geofences can be temporarily set anytime (using the fleetminder mobile phone app) or set for the storage location at your company depot or the driver’s home. While we would like to think that thieves have become more advanced and that is why more vehicles are being stolen despite their advanced capabilities, this is not actually the case. 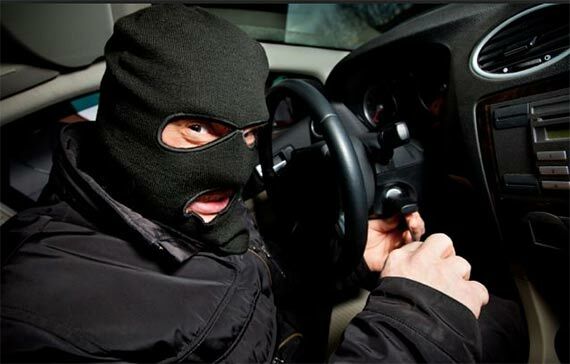 Almost one half of all vehicles stolen are a result of drivers practicing unsafe behaviors such as leaving a running car to attend to a customer or not locking doors and windows before leaving the vehicle. These habits may seem benign but they are an opportunity for thieves to make away with the vehicle, strip it and sell it for spare parts or use it for a robbery. With GPS tracking devices you will have a backup system in place if your drivers forget to lock their vehicle allowing you to stop the theft or aid in recovering your asset. Avoiding theft is every driver’s responsibility when they are in service, but if they make a mistake, GPS trackers are there to help stop thieves and recover your valuable vehicles.